Why Canada is awesome? The country has a great reputation, world class educational system, better health care, happy people and incredible natural environment. 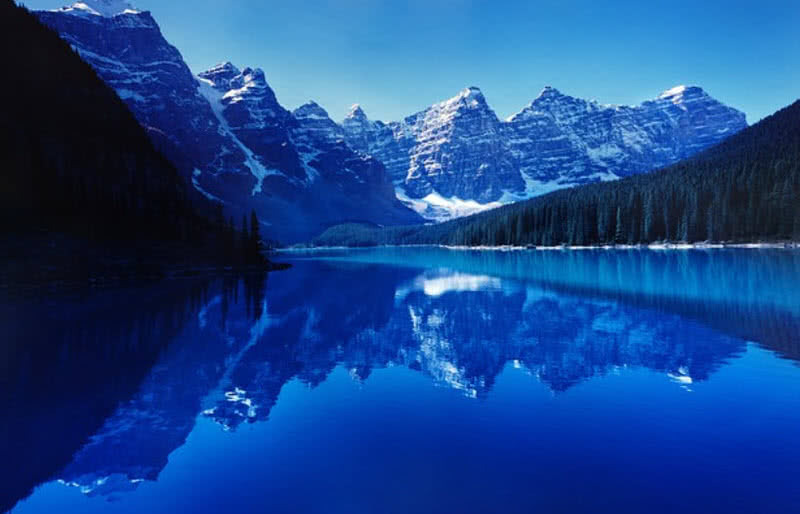 Canada is home to many natural wonders such Rocky Mountains, Niagara Falls, Bay of Fundi and Arctic tundra. 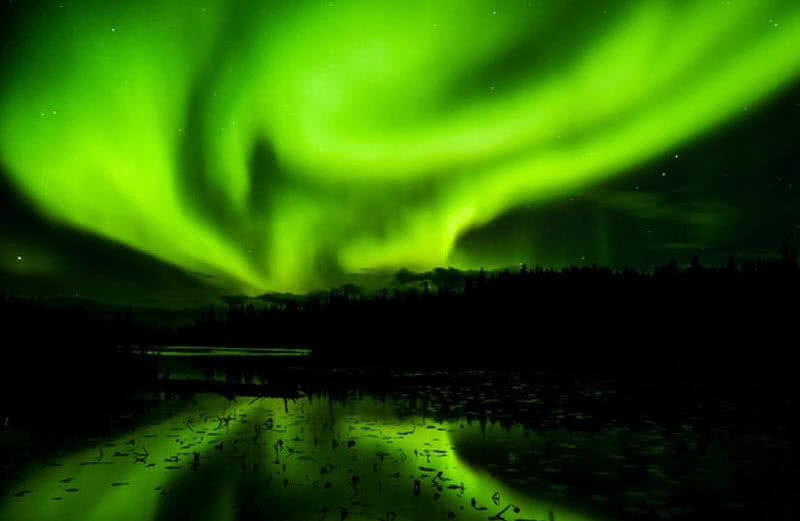 The followings are 10 breathtaking natural wonders of Canada. 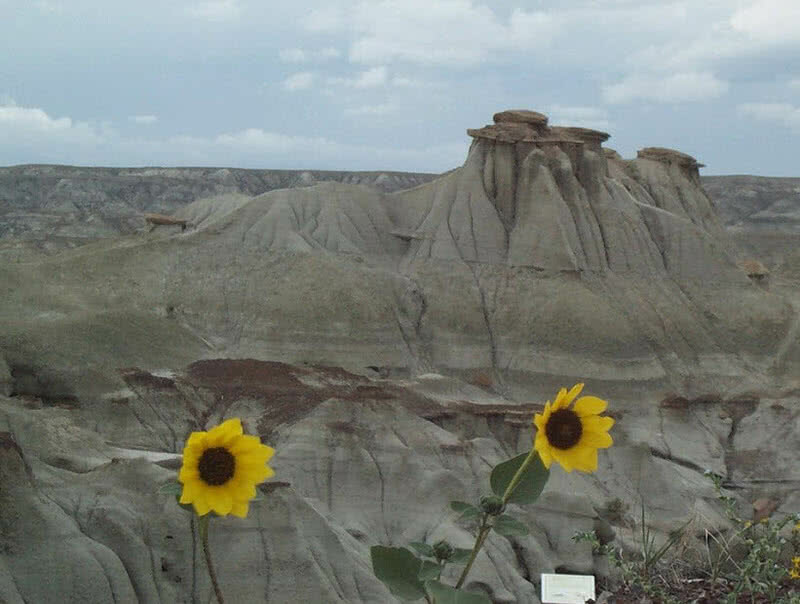 During the cretaceous period, about 75 million years ago this region of Alberta was home to many species of dinosaurs, reptiles, fishes, amphibians and reptiles. The bones of these animals were buried under the layers of mud and sands. Later the deposition of sediments preserved those bones. At the end of the last glacial period a huge thick sheet of glacial ice eroded the rocks. The meltwater carved the Red Deer River valley. From the sedimentary rocks the dinosaur fossils are also got exposed at that time. Centuries later in 1880s hundreds of high quality dinosaur fossils have been discovered from the valleys of the Red Deer River valley. Today the site is a popular national park and a world heritage site of Canada. In addition to the presence of great concentration of dinosaur fossil this national park is also home to diverse vegetation. There are cottonwood forest, shrub lands and wetlands. This national park is also notable for the presence of more than 160 species of birds such as golden eagle, prairie falcon, ferruginous hawks, loggerhead shrike and brewers sparrow. 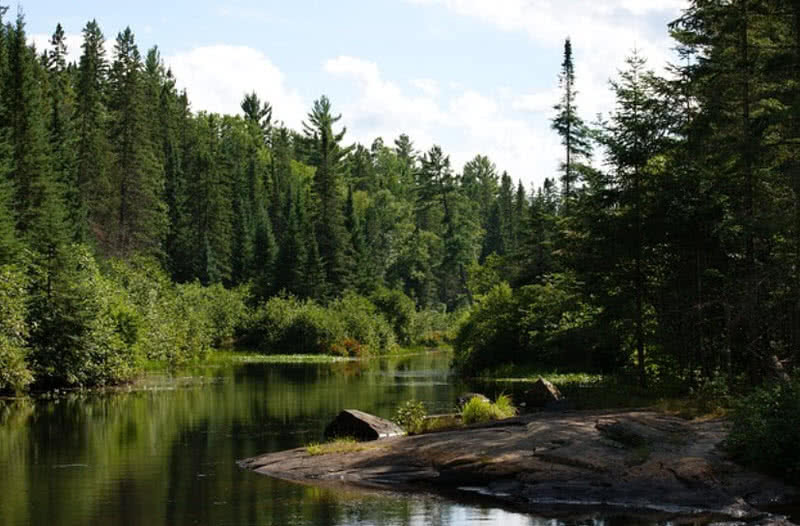 The Algonquin Park is the oldest and largest provincial park of Ontario province of Canada. Spreading across a vast land of 7653 square kilometers the park is home to 2400 lakes, rivers, streams, pine forests, jagged cliffs and abundant wildlife. Moose, wolves, black bears, otters, chipmunks and raccoons are the main animals that found in Algonquin Park. The canoeing is the best way to explore the beauty of this park. The canoeing route in the Algonquin Park stretches for more than 1500 km. The Ellesmere Island in the Nunavut territory of Canada is the most Northerly Artic Island in the world. The Island is also one of the most remote places on Earth. The Island is dominated by mountainous areas and most of them are covered in ice caps. The Island receive only a few human activities because of remoteness and dangerous ice conditions. The average temperature on this Island is just 3 degree Celsius. 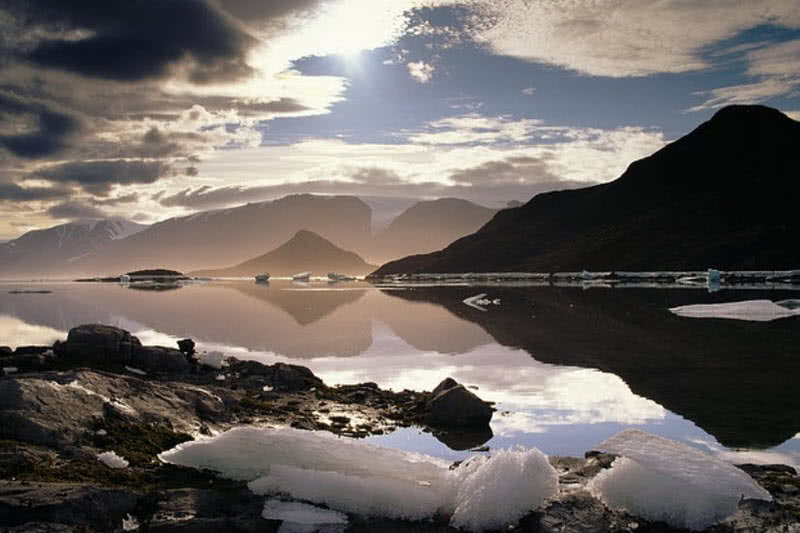 The Northeastern region of the Ellesmere Island contains amazing Quttinirpaaq National Park. The park includes a number of glaciers, seven Fjords and wide variety of sedimentary and volcanic rocks. The grand land mountains located at the Northern part of the park include a chain of sedimentary rocks, date back to 1 billion years. Majority of glaciers in the park is also located in the grand land mountains. It is very difficult to see vegetation in such a high Arctic region such as Ellesmere Island. The Arctic willows are the only species that mainly found on the Ellesmere Island. Unsurprisingly the animal population is also very less in this island due to the sparsity of vegetation. Muskoxen, Arctic hare and caribou are the only species that found in Ellesmere Island. 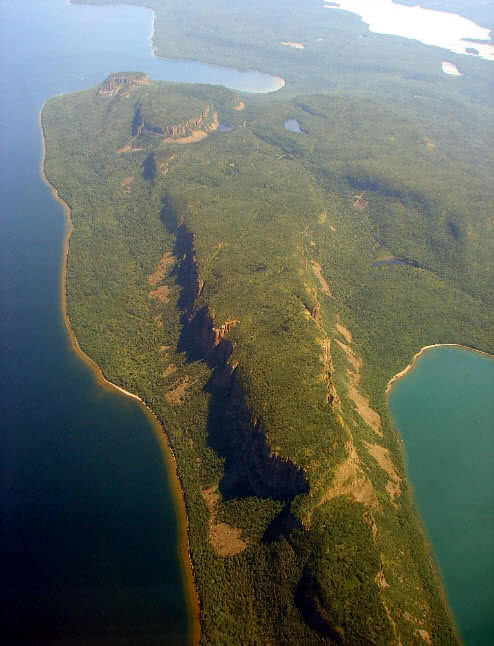 The sleeping giant provincial park in Thunder Bay city of Ontario named after an impressive rock formation that resembles a ‘giant human figure lying on its back’. This 244 square kilometer park includes impressive formations of mesas and sills. The view of this remarkable peninsula from the city is truly breathtaking. The Western parts of the sleeping giant national park include dramatic steep cliffs and valleys. Standing at 240 meters high these cliffs are the highest in Ontario province. The park contains more than 20 beautiful lakes. The Eastern part of the park also has connection to great Lake Superior, the largest freshwater lake in the world by surface area. The incredible network of hiking trails in the park extends over 80 km. The visitors can also reach the top of the sleeping giant rock formation. It offers breathtaking views of Lake Superior and the park. The sleeping giant national park also supports abundant wildlife. It is home to lynx, fox, wolf, moose and 200 species of birds. The park also offers many tourist activities such as hiking, canoeing, cycling, kayaking and camping. The Cabot trail is a 298 km long scenic roadway in the Nova Scotia province of Canada. This world famous highway is named after explorer John Cabot. The trails pass through beautiful landscapes, coastlines, parks and valleys. It is the best way to explore the scenic Cape Breton Island. 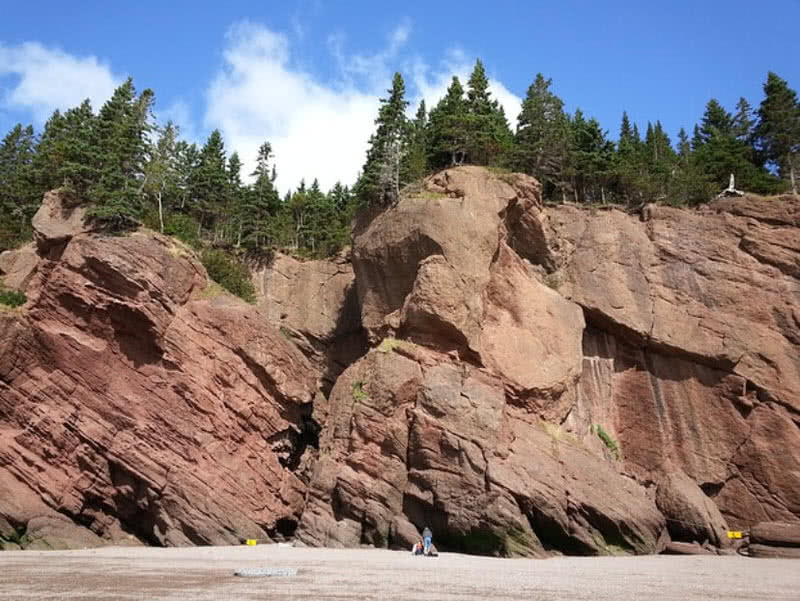 The Cape Breton highlands offer breathtaking attractions such as deep valleys and canyons. The autumn foliage along the Cabot trail is also truly spectacular. Undoubtedly the driving or walking through the Cabot trail during fall becomes an unforgettable experience. 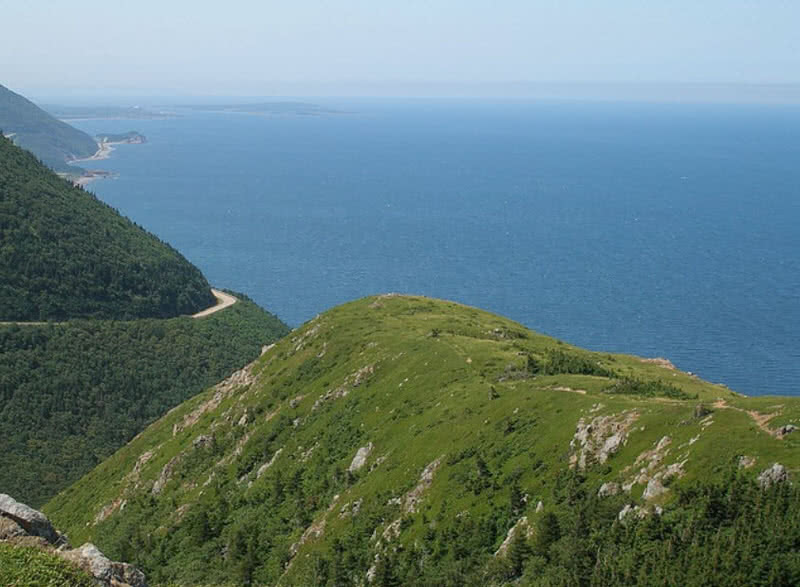 The Cape Breton Highlands National Park is another major attraction you can visit while passes through the Cabot Trail. The park is known for its forests, steep cliffs, valleys and river canyons. In addition to all these attractions you can also enjoy delicious sea foods from restaurants around the Cabot Trail. Stretches between the provinces of New Brunswick and Nova Scotia, the Bay of Fundy is truly a natural wonder of Canada. This dramatic coastline is home to the highest tides in the world, rises to a height of 16. Meters. Every 12.5 hours more than 115 tons of water flows in and out of this bay. The resonance effect that actually causes the extreme tidal effects in the Bay of Fundy. That is the Bay of Fundy has a unique funnel like shape and immense depth. The water of this bay is also in perfect synchronization with pulling force from the Atlantic Ocean. The body of water is also narrower and shallower at the upper part. Thus the Bay of Fundy receives highest tides in the world. The bay is also surrounded by impressive sandstone statues and rock cliffs. You can also see an impressive marine biodiversity in Bay of Fundy. It is home to 12 species of whales, seals, planktons, dolphins, crabs and many species of birds including puffins and sandpipers. The 4766 square kilometer Nahanni national park reserve in the Dehcho region of Canada has an impressive limestone cave system, deep canyons, amazing waterfalls and rich wildlife. 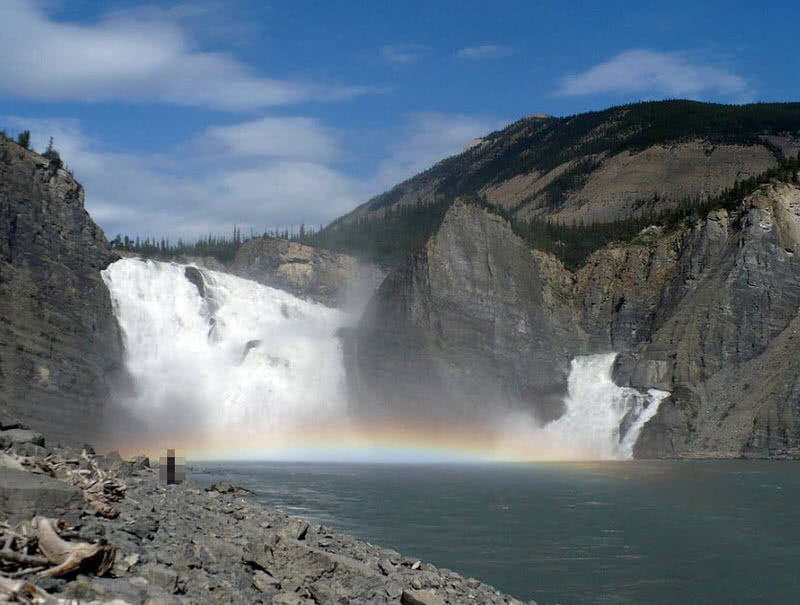 The park is located along spectacular South Nahanni River. By considering the geological significance and exceptional natural beauty UNESCO recognized this national park reserve as a world heritage site in 1978. Some of the landforms in the Nahanni park has millions of years of age. They are valuable source of informations about different stages of Earth’s history. There are four spectacular canyons in Nahanni park that are 3300 feet in depth. The five miles long fourth canyons in the park include amazing Virginia falls. At a total drop of 315 feet the waterfall has twice the height of Niagara. At 27 meters high the Rabbikettle Tufa Mounds in Nahanni park is the largest Tufa mounds in Canada. The Nahanni national park is also home to a wide variety of animals including 42 species of mammals and 180 species of birds. Nearctic boreal forest and Nearctic Alpine Tundra, two major biomes also present in the Nahanni park. Many rare orchid species, 700 species of vascular plants, and 300 species of lichens also grow in abundance in this park. The incredibly beautiful Niagara falls located on the border between Ontario province of Canada and New York City in U.S. Niagara falls consist of three waterfalls – the American Falls, the Horseshoe falls and the Bridal Veil falls. The most part of the Horseshoe falls lie on the Canadian side. It is also the largest waterfall of Niagara. The Bridal Veil Falls is the smallest waterfalls of Niagara. The American Falls and the Bridal Veil falls lie on The U.S side. The three waterfalls combine to produce an average water flow rate of 85,000 ft Cu/s. It is the highest water flow rate than any other waterfalls on Earth. 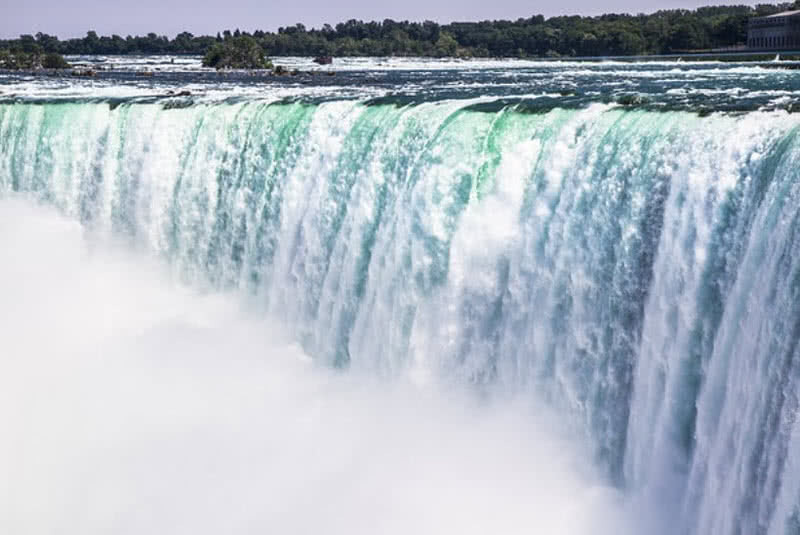 The largest vertical drop at Niagara Falls is 173 feet and it is from the side of the Horseshoe Falls. The light green/blue color is one of the great features of Niagara Falls. The mixing up of rock flavors with the water at a high rate is the reason behind this coloration. The Niagara Falls doesn’t freeze over even in the extreme winter climate. However ice bridges will form on both top and bottom parts of the falls. During winter season Niagara receives only fewer visitors. The Canadian Rockies are a network of mountains extends over 1200 km from British Columbia to Alberta. The Canadian Rockies are known for its subalpine valleys, amazing waterfalls, turquoise lakes and rich wildlife. The dazzling peaks of Canadian Rockies rise to 14000 feet in height in most areas. This mountain range also includes five amazing national parks – Banff, Jasper, Yoho, Waterton and Kootenay. The Banff national park in Alberta province is the oldest national park of Canada, established in 1885. The park encompasses 6641 acres of the Canadian Rockies. The town of Banff is the highest town in Canada, located at an elevation of 4537 feet. The 20537 meter long Castleguard cave system is also located in Banff Park. It is the largest cave system in Canada. The Banff Park is also home to thousands of glaciers, endangered woodland caribou and glacier-fed lakes. Spanning over 2,774,500 acres the Jasper National Park is the largest national park in the Canadian Rockies. Established in 1907 Jasper National Park is one of the oldest national park in Canada and a world heritage site. The park includes alpine meadows, forests, mountains, deep valleys, glaciers and 615 miles long hiking trails. The 3747 meters high Mount Columbia in the park is the highest mountain in Alberta. The Jasper Park offers many activities such as hiking, camping, horseback riding and rafting. The Yoho National Park in Canadian Rockies known for its amazing waterfalls and glacial lakes. The park has 400 km long hiking trails, 61 lakes and 28 amazing mountain peaks that rise to more than 3000 meters in height. The Burgess Shale, one of most significant fossil discoveries also located in this park. This fossil field is dates back to 505 million years. Mostly all parts of soft-bodied animals that lived in the Cambrian period (505 million years ago) were well-preserved in this filed. It provided great opportunities for scientist to make a deep understanding of evolution of life on Earth. The Kootenay National Park located in Southeastern British Columbia is named after the Kootenay River flow through the park. Covering over 1406 square kilometers of land the Kootenay Park contains hot springs, beautiful landscapes, valleys, sedimentary rocks and impressive mountains. The extensive network of trails in the park lets the visitors to explore the scenic landscapes, lakes and glaciers. The radium hot springs is one of the main attractions of the park. The waters of radium hot springs have presence of radioactive element Radon and the host springs were also named after this element. The Waterton Lakes National Park in Alberta province is the smallest National Park in Canadian Rockies. Comparing to other four national parks in the Canadian Rockies the Waterton Park only covers an area of 480.6 square kilometers. The park is home to some of ancient mountains of the Canadian Rockies, grasslands, evergreen forests and rich wildlife. The park is named after the Waterton Lake locate in the international border between Canada and U.S. The lake has two parts – Upper Waterton Lake and Lower Waterton Lake. The Lower Waterton Lake lies in the Canadian side. The park features 45 different types of habitat types in total including shrub lands, wetlands, grasslands and lakes. The rich wildlife and vegetation is also found in Waterton Park. The park protects more than 60 species of mammals, 24 species of fishes, 250 species of birds, 10 species of reptiles and 1000 species of vascular plants.